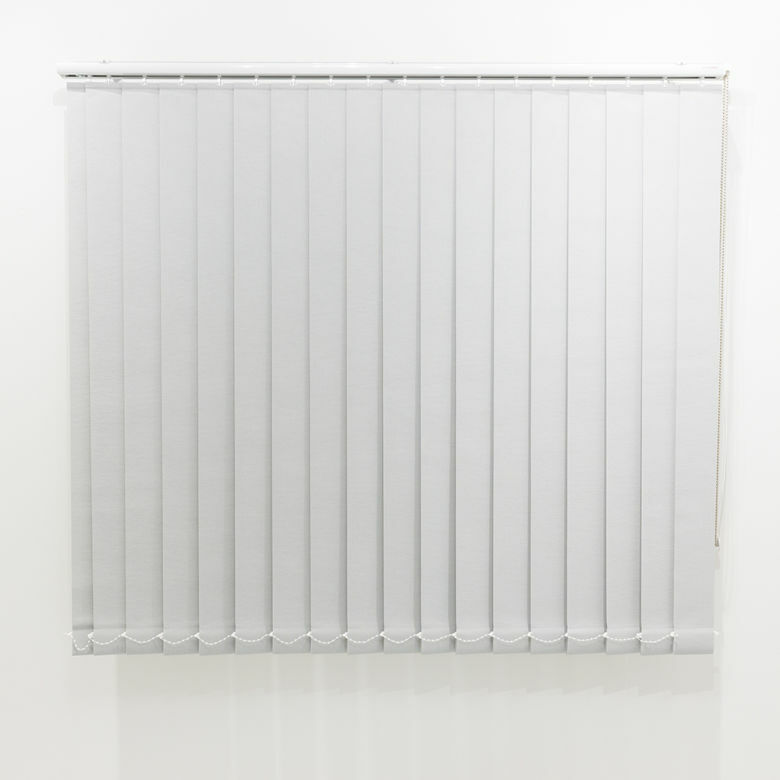 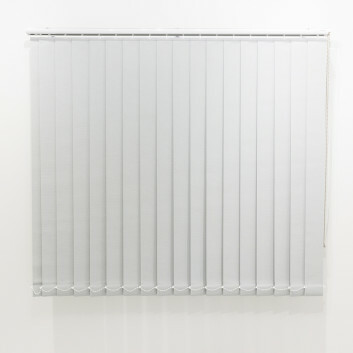 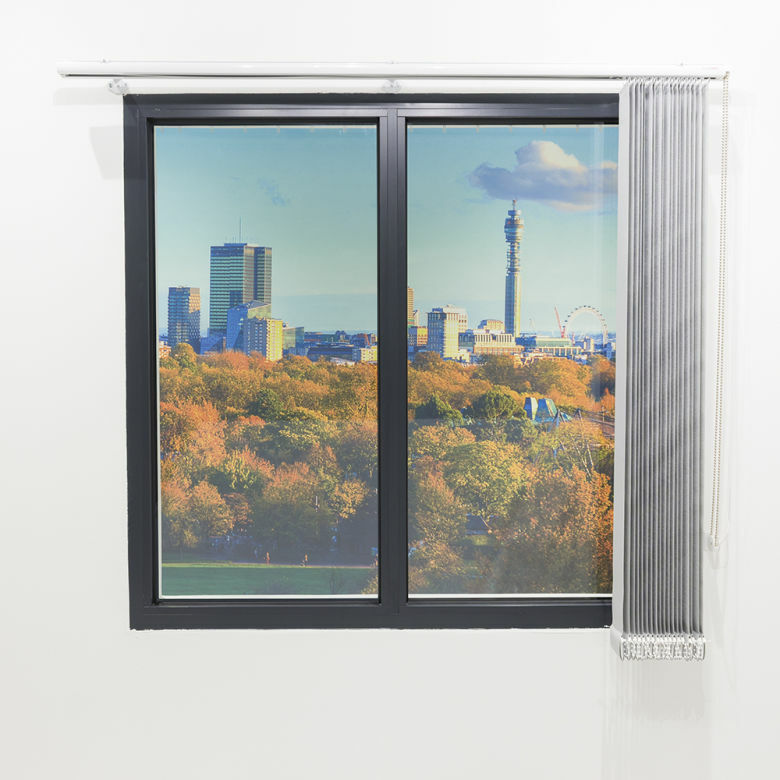 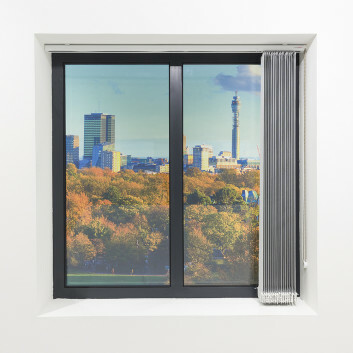 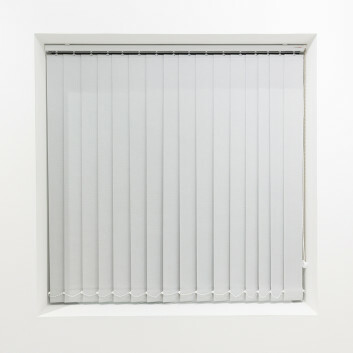 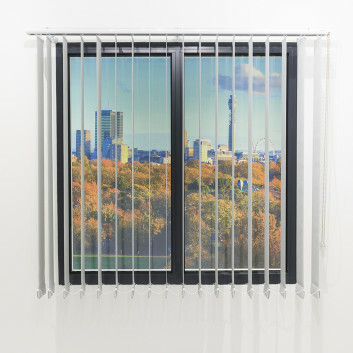 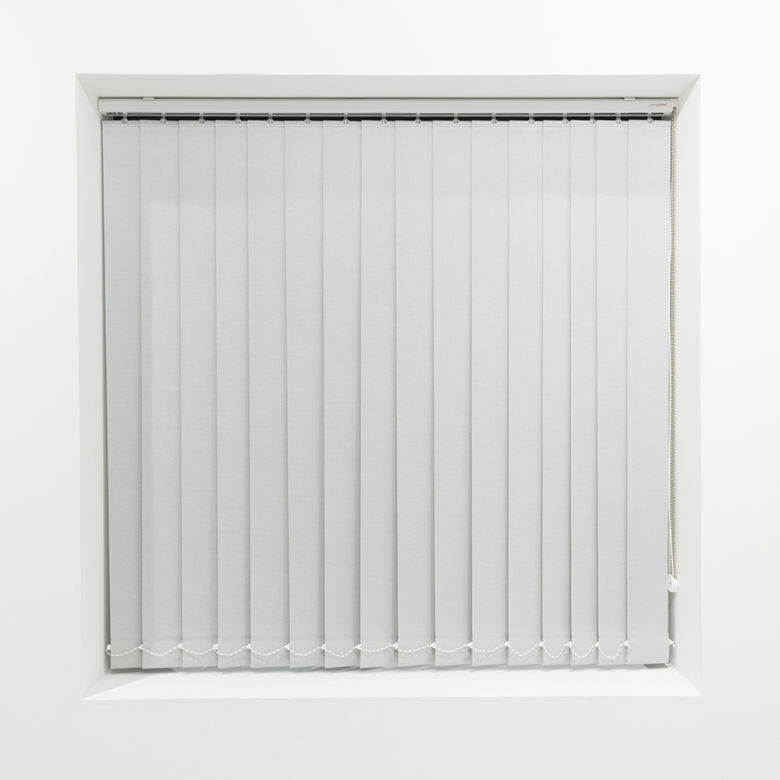 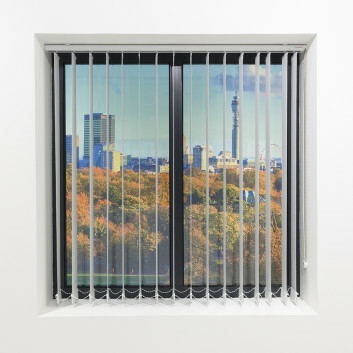 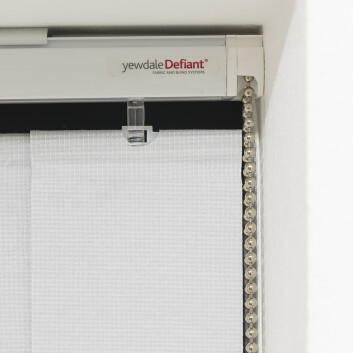 The YewdaleDefiant® VL30 premium profile vertical blind has a 40 x 25mm premium white aluminium head-rail with top-fix brackets and wheeled carrier trucks. 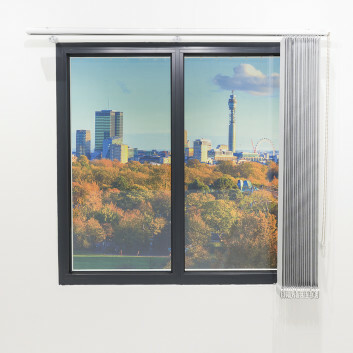 The constant transport of the louvres is guaranteed by the precision made aluminium spindle shaft. 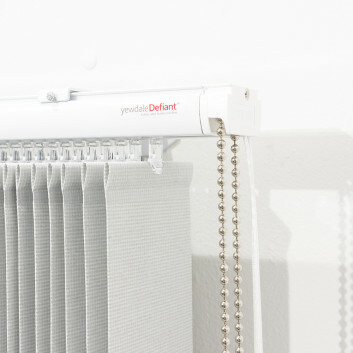 It has a metal control chain operation with built in slip clutch to tilt the louvres. 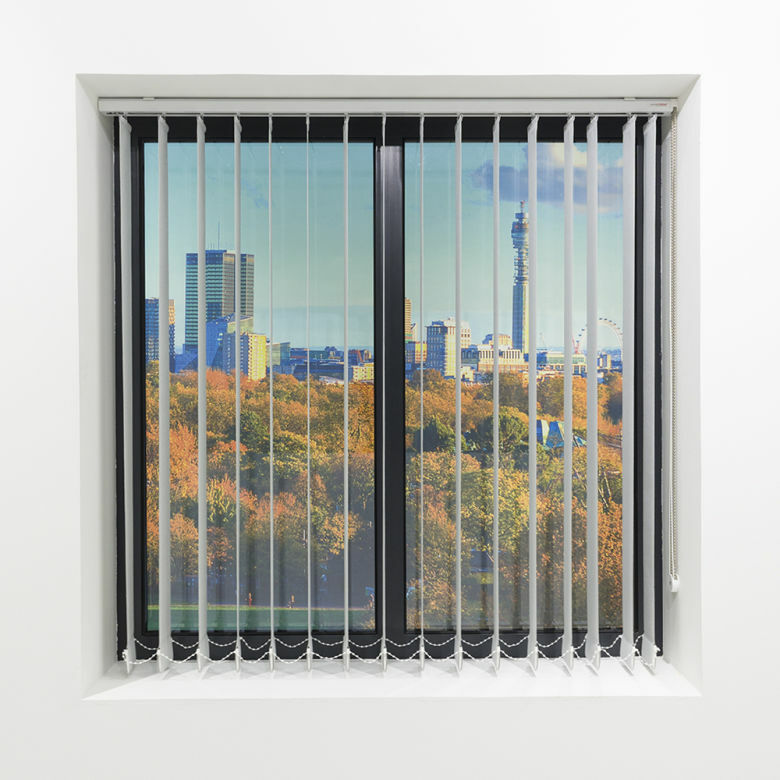 Our louvres are supplied in 127mm and 89mm widths with weights and white stabilising chain. 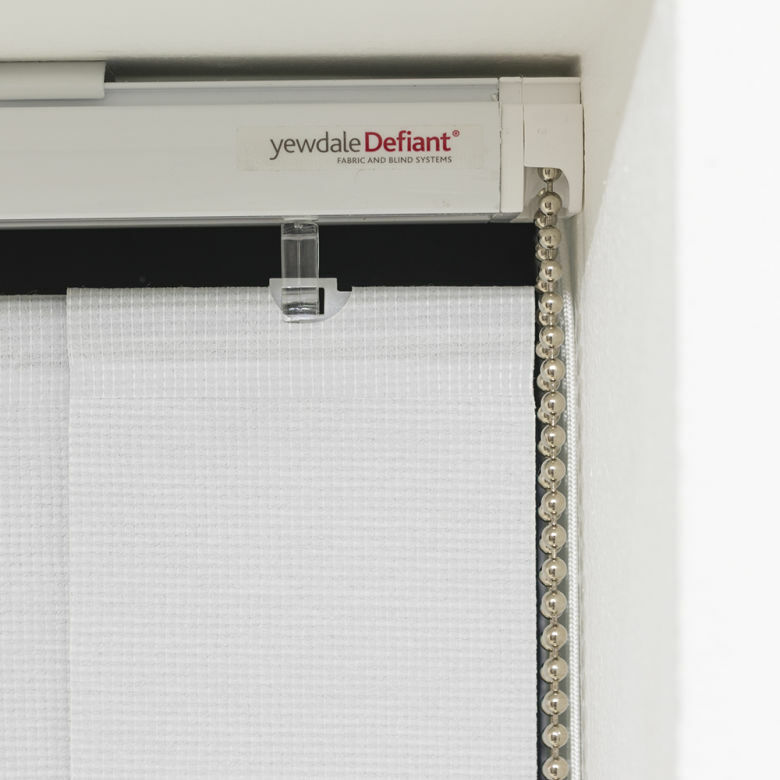 Robust and with a high quality level of performance, including smooth and quiet operation, the VL30 remains still visually pleasing to the eye. 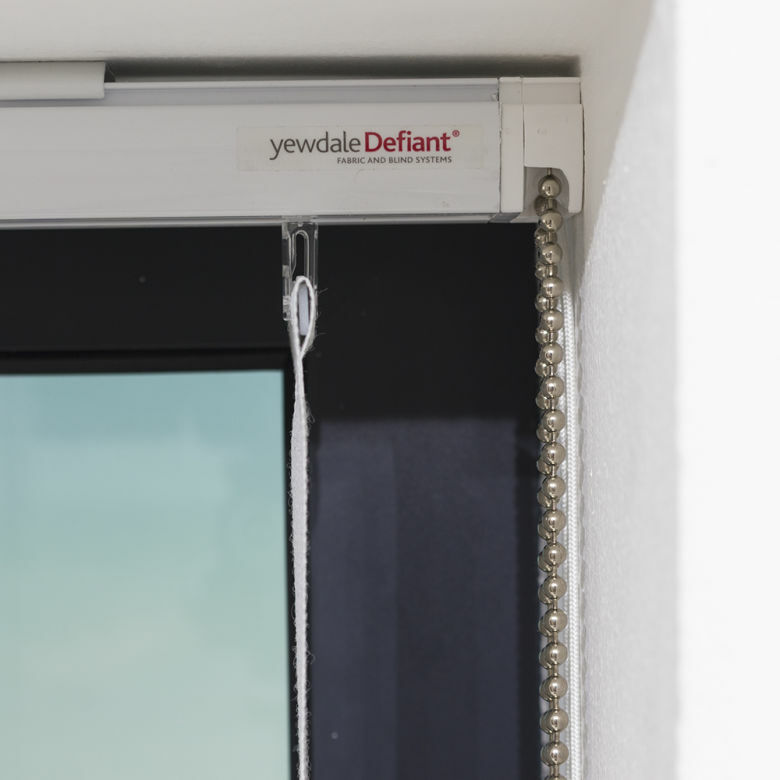 The comprehensive truck options satisfy the most demanding of environments whether it be residential or commercial. 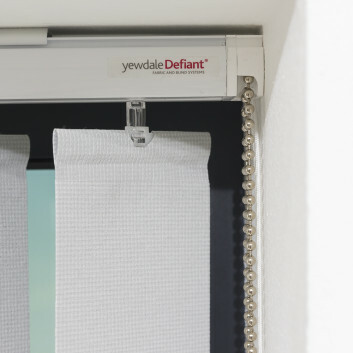 This system has been designed to offer a trouble-free solution throughout its lifetime. 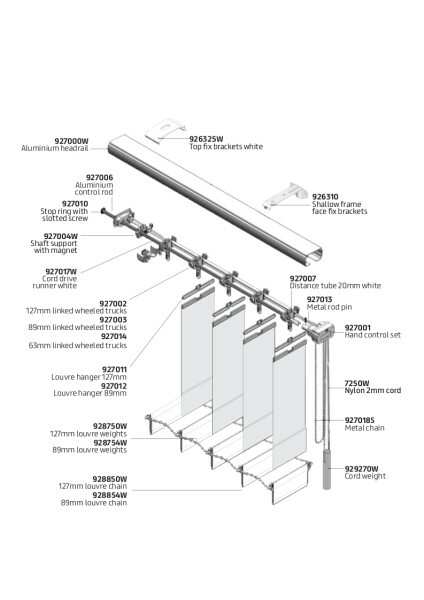 VL31 wand control; Spring metal trucks; Enclosed weights; VL30S sloping; Face fix brackets. 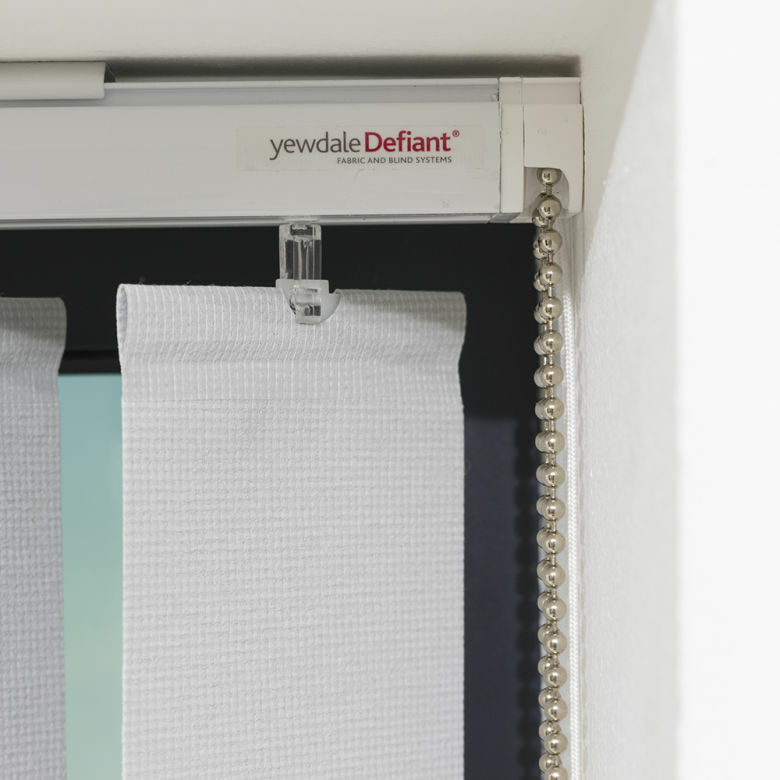 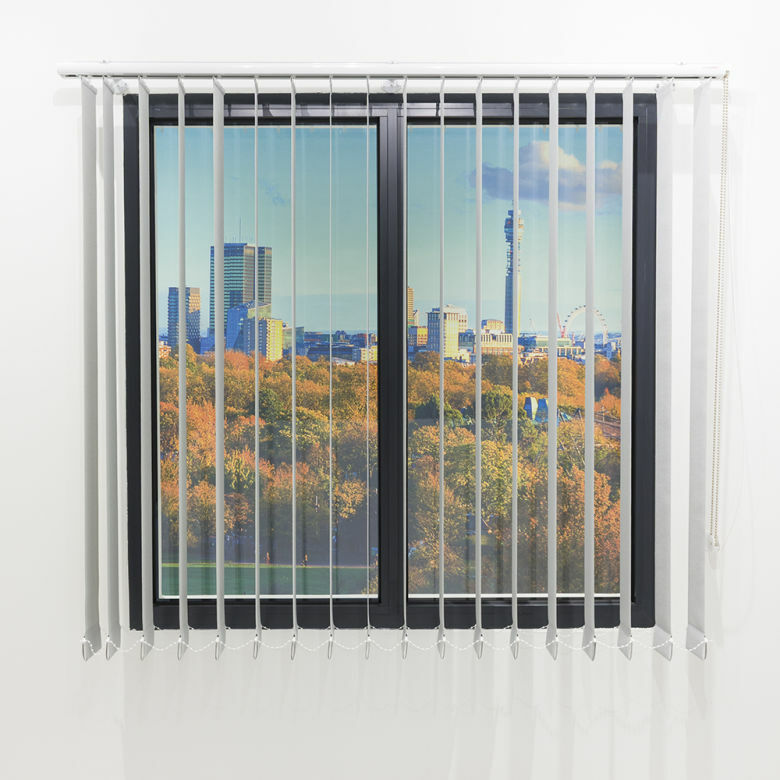 The YewdaleDefiant® VL30 premium profile vertical blind with chain control as manufactured by Yewdale, +44 (0)1268 570900. 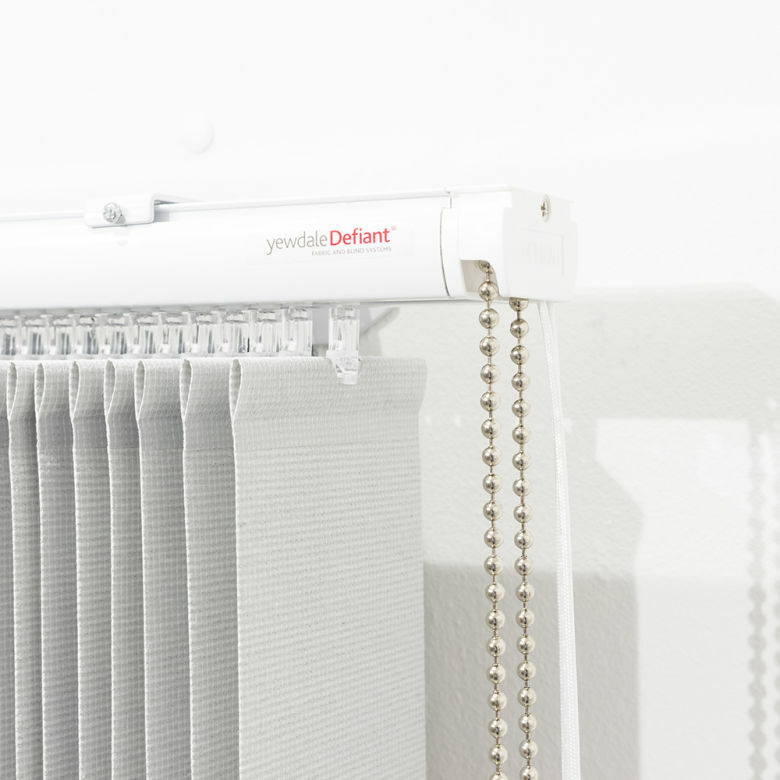 40 x 25mm white powder-coated aluminium head-rail with tilt control by metal control chain and cord draw operation. 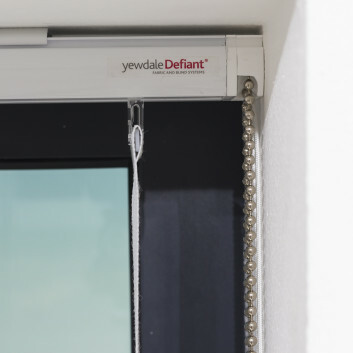 Replaceable truck hooks, or spring metal truck hooks, with 127/ 89/ 63mm louvres in flame retardant fabric from the YewdaleDefiant® range, complete with louvre weights and white stabilising chain.